We get to work with some fantastic global brands and names but there’s always something extra rewarding about working on local projects. 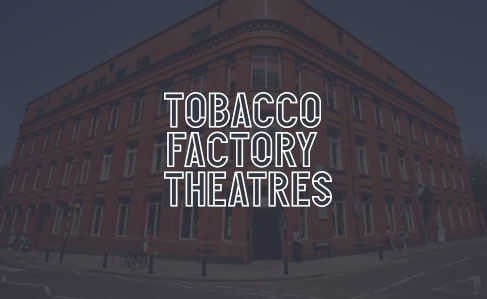 When we were approached to get involved with the Bristol based Tobacco Factory Theatres rebrand, we jumped at the chance. The new website is built on the WordPress platform. The big challenge was to integrate with their existing online booking system Spektrix. We worked closely with Spektrix and the TFT team to seamlessly integrate the new site, syncing shows and events between the new website and the booking backend, resulting in a greatly improved experience for users and streamlined booking process. This was achieved with a bespoke PHP library which securely connected to the Spektrix API and allowing users to create accounts, buy tickets, memberships and more, all straight from the site. We’ve also recently worked on revamping the website for Bristol’s legendary Motion nightclub. Again built in WordPress, this time working alongside EventBrite for ticket sales. We have a lot of experience bringing a great user experience to sites and connecting with third-party ticket providers. We can also provide completely bespoke solutions, leveraging the power and ease-of-use of WooCommerce and WordPress. So if you’re looking to sell your product via a website, or combine an existing system like Spektrix, drop us a line.